With the SoundClip ability to support up to eight button inputs, it was the ideal choice for the exhibition’s audio while our Armour Cable Headphones are stored away tidily with their compact hangers, minimising the risk of trip hazards. Over in Belgium lies an imposing Ursuline convent residing in Tildonk which is known as a very historical place. The convent was the main base of operations for the German General von Beseler who coordinated the siege of Antwerp during World War I. Closing its doors in 2007 the convent is now being used as a communal space, featuring a restaurant, a series of care and welfare organisations and an experience centre revolving around what life was like during World War I in Flemish Brabant. The experience centre is designed to present World War I from a national and international perspective on the basis of historical accounts and significant dates that occurred during the war. 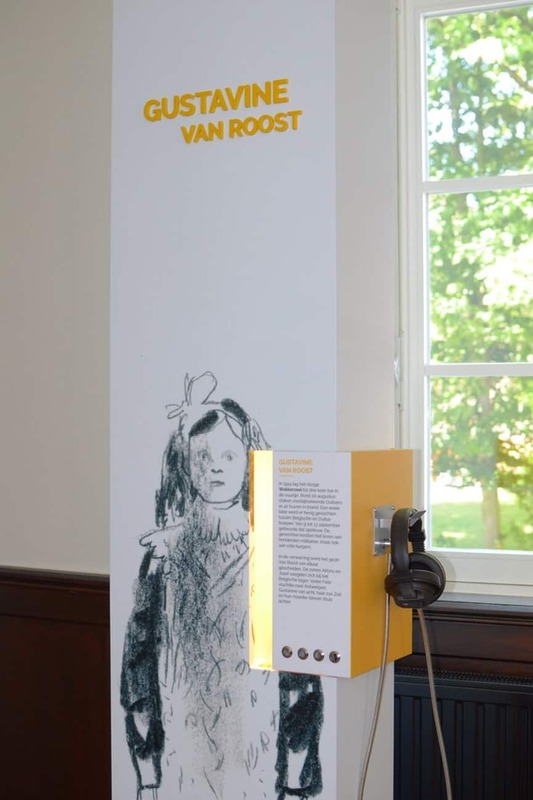 As part of the centre, visitors have the opportunity to meet twelve unique people who share how their lives were affected during World War I through the use of an audio unit. 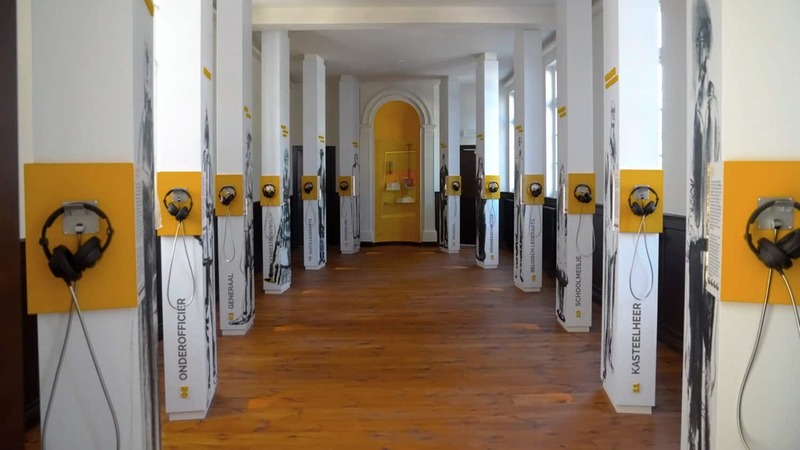 Installers Madoc came to us looking for audio interpretation that would best suit the needs of the exhibition space; for this twelve of our SoundClip-8 audio players were used to play the content while it can be listened to through our Double Cup Armoured Cable Headphones. As visitors work their way around the space, they are able to press a corresponding button from a choice of four and listen to accounts of World War I from people in several walks of life including a farmer, a Belgian general, a German soldier, a schoolgirl and a nun from Tildonk. With the SoundClip ability to support up to eight button inputs, it was the ideal choice for the exhibition’s audio while our Armour Cable Headphones are stored away tidily with their compact hangers, minimising the risk of trip hazards. The experience centre has been an intriguing and thought-provoking insight into how Flemish-Brabant was affected during the First World War.